is an influencer and entrepreneur by all standards. She is the CEO of just me house of accessories (AJO ) which has been in operation since 2012. She is into beads making, clothes, jewelries, styling and anything that has to do with making a lady look stunning. In 2017 she founded the Smart Women Collaborate Movement (SWCM). This movement stands for change and women empowerment. It creates the platform for female achievers to make a change in their respective fields to impact the next generation of women to propel them reach their own pinnacle of success. 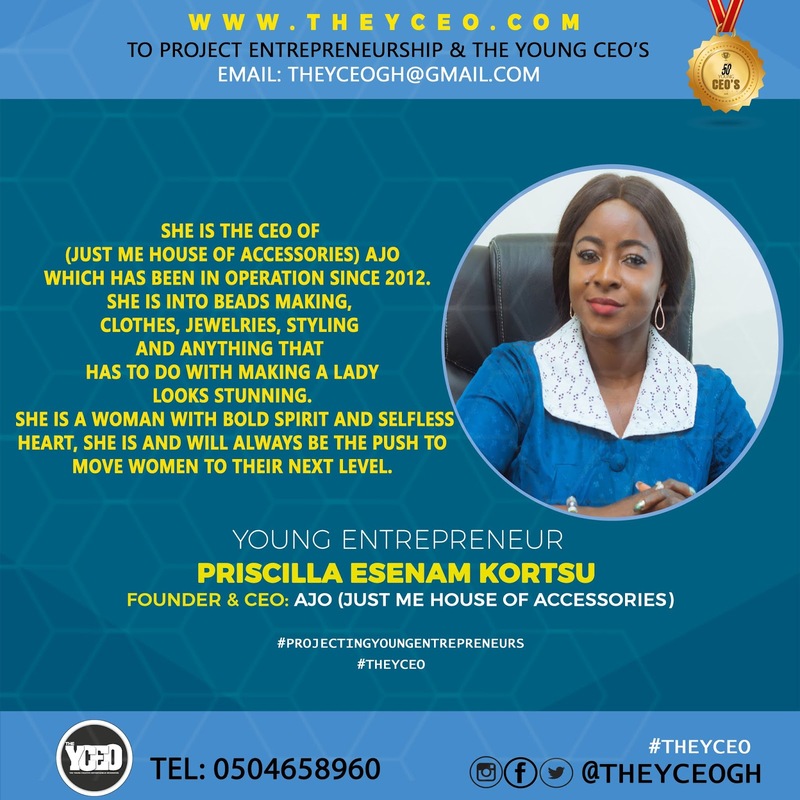 Priscilla Esenam Kortsu (AJO )is also a speaker both on pushing the Kingdom agenda and Creating a Winning Mindset which seeks to inform,inspire and motivate women. Her zeal to bring out the best in women has made her a part of several TV shows , panels , boards and conferences on which she continues to impact lives through her speech and her achievements . She is a woman with a bold sprit and a selfless heart , she is and will always be the push to move women to their next level.